St. Augustine FL homes are built on land that was once colonized by the Spanish. In fact, St. Augustine homes are on land that has been occupied longer than any other city in America. Founded in the late 16th century, it is a town that is rich in history and tradition. If you are looking for a great place to start a family or enjoy your retirement, St. Augustine FL real estate is for you. When you look at homes for sale in St. Augustine, you are looking into the past. If you like stories about buried treasure, fountains of youth or great explorers, you will love learning about St. Augustine. First sighted in the early 1500s by Ponce De Leon, it was rumored to be the place where a magical fountain of water would make you young again. Officially occupied in 1565, it would serve as a Spanish outpost, refuge for slaves and one of the final frontiers in the American quest to own the entire continent of North America. The park system in St. Augustine is one of the best in the country. You will be amazed at how much open space there is to take a walk and enjoy the natural beauty that surround all of the St. Augustine homes for sale. If you like to play sports or have pets, the parks and rec system in the area will have everything you need and then some. 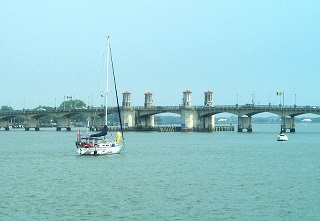 There are literally dozens of attractions that make real estate in St. Augustine so attractive. For example, you could visit the Ponce De Leon Hotel or the Bridge of Lions. The Spanish Quarter Village gives you a good perspective as to how life was like during the time when Spain occupied Florida. The St. Johns Golf Classic is a charity event that helps the Boys and Girls Club in the local area. Other events include private tours of the city at night where you get to see various parts of the city lit up in different colors. Women's health and advocacy events are also held on a regular basis in St. Augustine. 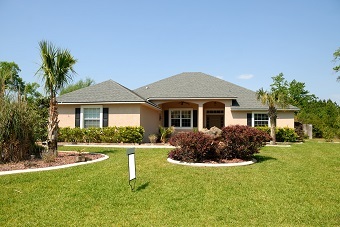 St. Augustine real estate is a hot commodity that does not last long on the open market. If you are interested in a home, condo or any other St. Augustine properties, you should call or email a real estate agent right away. In no time at all, you can go from an interested tourist to a St. Augustine home buyer putting down roots in your new hometown.